When you’re looking for a qualified Wildomar plumbing service for your home or business, you need to call 951-428-1565 today for the experts 24-7 Plumbing and Drain. Click here to get valuable savings and exclusive deals on our coupons page. If it’s time to replace your water heater, you may want to consider the convenience and energy efficiency of the latest in tankless water heaters. Your current standard heater uses up energy maintaining a large volume of water hot in anticipation of whenever you might need it. By contrast, a tankless system instantly heats water on demand when as need it. Therefore, it wastes less energy, you’ll never run out of hot water and it takes up less space in your home. You can opt for a single, whole home system or point of use heaters that are installed under sinks near the places where hot water is needed. The potential for harm of a burst pipe is massive. The resulting flooding can cause structural damage to your home, cause mold and mildew growth and destroy belongings. The best way to avoid a burst pipe is through regular maintenance and inspection of your home’s plumbing system, particularly if the pipes are aging. Our experts can assess the state of your plumbing and take necessary action before disaster strikes. 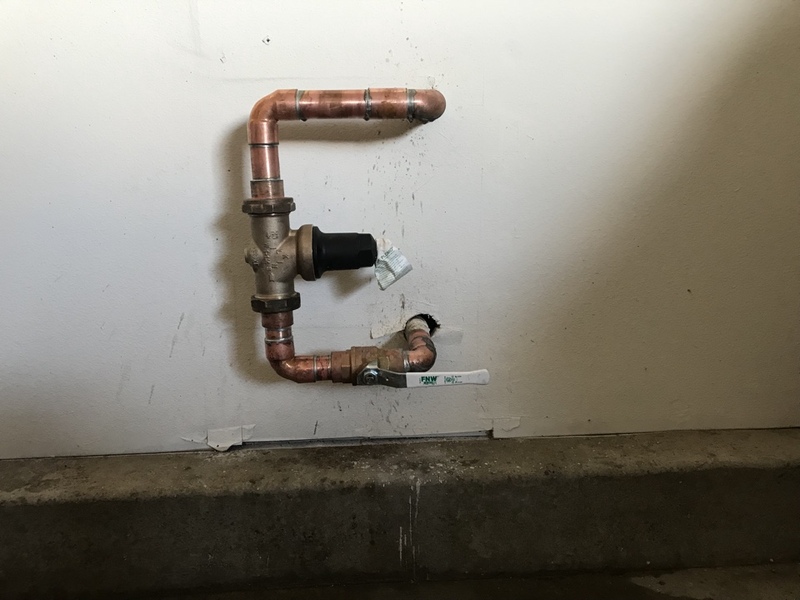 Should you experience the unfortunate event of a burst pipe, you will discover the peace of mind that many other local homeowners have come to rely on when you call 24-7 Plumbing And Drain any time of the day or night. Our plumbing pros will be onsite to repair the problem and return your home to normal before you know it. Are you curious to know what your friends and neighbors thought of our services? Click here to read actual reviews from local residents like you. The gas line that runs in your home and powers your stove, water heater, furnace or other appliances is a lifeline for your day-to-day life. But the gas it carries can be toxic and is highly flammable and potentially explosive. For these reasons, healthy gas lines that are in good working order are vital. If you’re concerned about the state of the gas lines in your home, contact us and we can inspect the lines and detect if any leaks exist or if there is risk of an imminent leak. Don’t take chances, though. If you smell gas in your home, evacuate it immediately and call your gas company to report the leak. Our team can also extend you gas line, should you be considering converting to a gas oven or a natural gas barbecue. I had a Water Heater Replace at out home, I called up 24-7 Plumbing & they were Very Professional & Replaced it in a timely manner with a Very Reasonable Price. Donnie was our service rep. he was very Professional & knowledgeable of the Product he Installed. Thank you. The old kitchen faucet needed to be replaced. I purchased a new one only to find the old hot/cold cutoff valves did not match up. A quick review on Angie's list provided this companies name. They are very responsive and customer oriented. I had the option for them to finish the install of the faucet which I did to save me from going back under the sink. The valves were only $50 each but to finish the sink that was $100 more. A little high but I guess worth not being under there again. Tried to un-clog my kitchen sink...didn't want to try opening pipes and using a snake...called them this morning and Donnie was here by early afternoon. Did the work and cleaned up! Removing old failed 1 1/4 gate valve and installing new 1” ball valve and regulator in Wildomar ca. Installing a 50 gallon water heater in wildomar ca. Installing a new 1 1/4 regulator and flushing the mainline of dirt and debris in murrieta ca. For a full range of plumbing services in Wildomar that include drain cleaning services, clogged toilet repairs and installation of faucets, fixtures, sinks, and water filtration systems, call 951-428-1565 today.